In Poetry... Follow the adventures of Sam the Gerbil as he provides material for an Elegaic Narrative Poem: Starting the Narrative Poem and What Is a Narrative Poem? These articles introduce a new section of the site, our Introduction to Fiction and Poetry Blog. These posts are inspired by the undergraduate class I teach here at Hopkins, and they provide tips and literary terms drawn from works by well-known literary authors. Looking for a good read? Tired of the bestseller rejects in the checkout aisle? Then visit our Inspiration Page for links to good books worth reading. This week, we feature some key recommendations in Nonfiction, along with an article on The Importance of Reading Nonfiction. Do you have a favorite book from childhood? Have you discovered a new author who really know how to write? Tell me about it. I'll post your recommendations for your fellow writers (with your name and website as well, if you like). Just think of it as a book club without all the hassle of having a club. Did you love all your classmates in grade school? Do you look back on the days of wedgies and swirlies with a kind of hopeful longing? No?? Well then, Let's Get READY to RUMBLE! with today's Friday Freewrite: Iguanas vs. My Little Pony. We've had a few of our members post some very good freewrites, and I'd like to invite everyone to do the same. If you haven't joined our Member's Area yet, then sign up now to take advantage of our upcoming class survey. If you've received our Newsletter in error, or would prefer not to receive e-mails from us in the future, please reply back with REMOVE in the subject line. 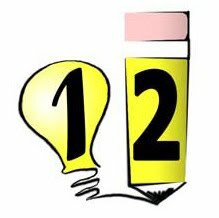 Welcome to the 1-2-Writing Blog!